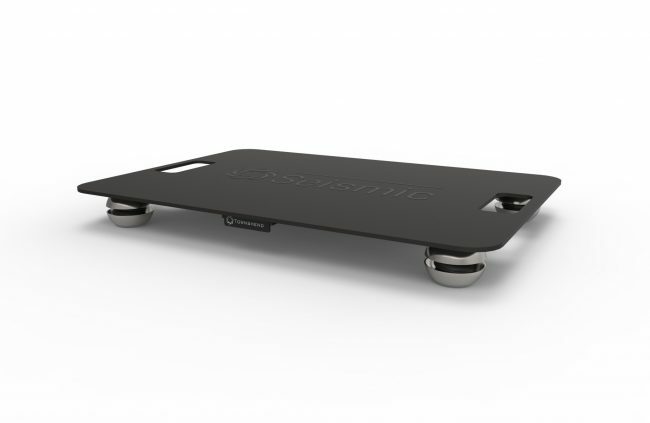 The Seismic Isolation Platform includes a durable slim steel top plate that integrates unobtrusively under any hi-fi component. The acoustically dead constrained-layer damped plate combined with a Seismic Load Cell™ attached to each corner is the ultimate combination to absorb and isolate unwanted vibration, including structural, air-borne and that generated by the hi-fi equipment. 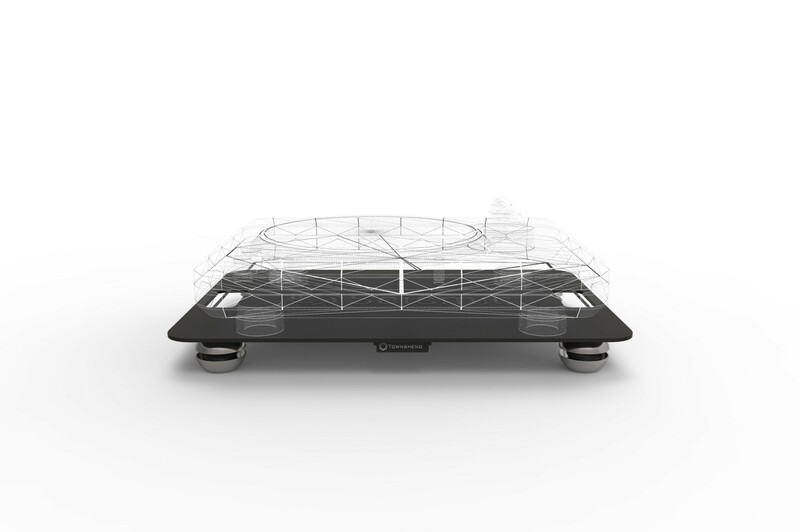 The Platform can be levelled by turning the adjustable Seismic Load Cell™. It is important to specify the weight of your equipment when ordering. Bespoke platforms are available for any size or weight of audio equipment. The maximum load when using four E springs is 256kg (560lb). For loads above this, eight or more load cells may be required. For out of balance loads where the centre of gravity of the component is not near the geometrical centre of the component, each support foot is screw adjustable in length to allow for this. If the degree of out of balance is too large, then it is suggested to use unequal springs. For example, a valve amplifier with the transformers at the rear, then use two “B” springs at the front and two “C” springs at the rear.